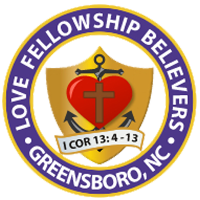 What is Love Fellowship Believers? We are a church of the Lord Jesus Christ as described, established and mandated by the Holy Bible. We want to evangelize, equip, encourage God’s people and exalt the Lord with all of our being. We believe it is our duty to educate and empower each other. It is our ultimate desire to fulfill the will of God (Romans 12:1-2). Our banner for 2015 “BUILD 4 God”, Being United In Loving Devotion for God, Colossians 3:1-(17). 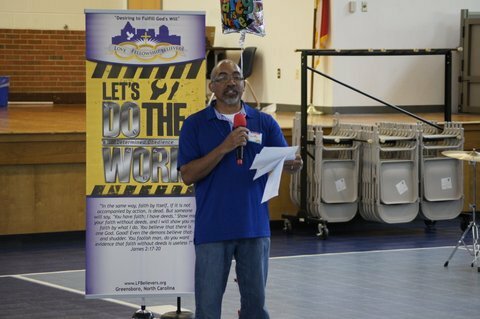 We have partnered with the North Carolina Council of Churches and Partner’s in Health and Wholeness. We are also a founding member of I.M.U. 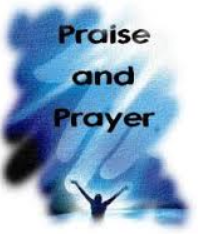 (International Ministries United). 4 Charity suffereth long, and is kind; charity envieth not; charity vaunteth not itself, is not puffed up, 5Doth not behave itself unseemly, seeketh not her own, is not easily provoked, thinketh no evil; 6Rejoiceth not in iniquity, but rejoiceth in the truth; 7Beareth all things, believeth all things, hopeth all things, endureth all things. 8Charity never faileth: but whether there be prophecies, they shall fail; whether there be tongues, they shall cease; whether there be knowledge, it shall vanish away. 9For we know in part, and we prophesy in part. 10But when that which is perfect is come, then that which is in part shall be done away. 11When I was a child, I spake as a child, I understood as a child, I thought as a child: but when I became a man, I put away childish things. 12For now we see through a glass, darkly; but then face to face: now I know in part; but then shall I know even as also I am known. 13And now abideth faith, hope, charity, these three; but the greatest of these is charity.